Eyelashes no doubt fall under the category of underrated facial features that greatly affect the overall look of a person. To some people they may seem like an afterthought, but to those in the know, even the most subtle of changes in your eyelashes can either make you look dramatic, bold, romantic, natural looking, fierce, or whatever aura it is that you may want to exude. For most people though, when it comes to eyelashes, it’s definitely the longer the better. Unfortunately, not everyone has been blessed with long and thick eyelashes (hands up if you’re one of the unlucky few). This is nothing to fret about though; what with all the makeup products, faux eyelashes, serums, and cosmetic procedures out there that promise (spoiler alert: not all of them deliver) to help you with your eyelash woes. But for some people, the natural way is still the way to go. And by that we specifically mean considering what you put into your body. We all probably know by now that what we eat affects our skin, our hair, what have you. But can you eat your way to thicker, longer, and healthier eyelashes? Well, how about we answer that now: YES YOU CAN. Here we’re going to give you examples of what to eat to help you achieve the eyelashes of your dreams! Seriously, can salmon do no wrong? They’re good for your heart, they help you control your weight, they improve brain function, they help protect your bones, and they’re good for eyes. 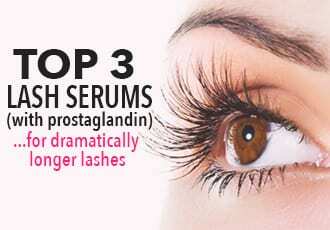 Plus they can help you grow thicker and longer eyelashes! According to dietician Andrea Giancoli, the essential omega 3 fatty acids found in salmon help in promoting the health of your scalp and hair follicles. Salmon is also rich in protein and fish oil which are both widely known for keeping hair healthy. It doesn’t stop there. Its high content of vitamin D, B vitamins, and other vitamins and minerals also promote hair growth. All of these definitely make them one of the top foods to eat when you need help in the eyelash department. Plus, it doesn’t hurt that they taste super good. You can have them grilled, smoked, baked, or in sashimi form at least twice a week to reap the benefits. Now who doesn’t love a good steak? Aside from being delicious and being the primary ingredient in some of the most sumptuous dishes, beef has a number of notches on its belt that can assist you in the eyelash department. Essentially, the body needs protein for healthy hair growth. And beef contains a good amount of this along with B vitamins, zinc, and iron that also help you lengthen and thicken your eyelashes. Have it at least two to three times a week to see results. If you do not like the taste of beef, alternatives that also give the same benefits are other lean meats like pork, lamb, and bison. Have them hardboiled, scrambled, poached, fried, what have you, either way eggs are one of the foods that are suggested for eyelash and hair growth. Eggs are loaded with the B vitamin biotin which promotes hair growth and a healthy scalp; so much so that a deficiency of it can actually make your hair brittle. They are also rich in high quality protein which as we’ve mentioned earlier is important for healthy hair growth. Good thing eggs are super easy to incorporate into a meal whether it be breakfast, lunch, or dinner. A good tip would also be to eat both the egg white and the yolk and not just one or the other, daily or every other day for best results. Eat nuts, stop hair loss. Makes for a pretty good slogan, eh? (Or no, whatever) Almonds, peanuts, walnuts, macadamias, cashews, what have you, they’re all good for your hair including your eyelashes. First of all, a lot of nuts such as walnuts, cashews, and butternuts are rich in omega 3 fatty acids. As we’ve mentioned earlier these promote healthy scalp and hair follicles. Second, nuts are an excellent source of l-arginine which is an amino acid used to treat baldness and encourage healthy hair growth. L-arginine does this by improving the health of artery walls in turn providing for a strong vibrant blood flow which is essential for hair growth. Third, nuts are also rich in vitamin E, and a wide variety of other nutrients such as protein, vitamins, minerals, and phytochemicals. It’s a good thing nuts are easy to carry around and there’s a wide variety out there that will ensure even the pickiest of eaters can find one that will suit their liking. Eating nuts regularly, but not necessarily in huge amounts each time, can help you grow out your eyelashes and keep your hair healthy for years. Not everyone has a taste for oysters. You can either love them or hate them (I personally love them). If you’re one of the people though who don’t care much for oysters, it might be time to start giving them a chance. Oysters are one of the top health foods and their benefits include the promotion of healthy hair. Oysters are rich in zinc which keeps the scalp healthy and hair follicles working properly. Low levels of zinc actually cause hair loss and slow hair growth. 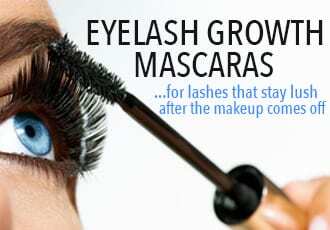 This extends to your eyelashes as well. Oysters also contain iron that helps prevent hair from falling out by retaining hair strands to their roots. Lastly oysters are rich in B12 that keep your hair looking healthy. All of these should convince you to incorporate oysters into your diet. Luckily they are readily available in most markets and a lot of restaurants. Beans are a versatile food item. They can be eaten either fresh or dried and these include kidney beans, black beans, pinto beans, soybeans, and chickpeas. 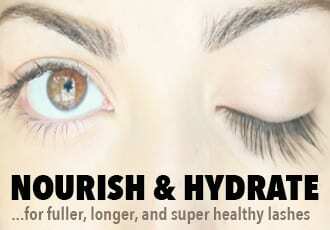 It is also a good thing that they are a low calorie option in achieving longer and thicker eyelashes. Beans are a good source of protein, B vitamins, vitamin C, fiber, zinc, and minerals which are all essential for hair growth. They are also a source of iron which helps in preventing hair loss. Add beans into your meals by serving them as side dishes, including them in your salads, casseroles, pureeing them into dips, whatever you like. Made extremely popular by the cartoon character Popeye, we all probably know of the many health benefits of spinach at this point. Popeye used them to instantly give himself superhuman strength to fight off his enemies but perhaps he should have saved some for Olive? I mean she did have a knack of batting those eyelashes. Spinach is a good source of nutrients and antioxidants. This vegetable contains a good amount of vitamins B, C, and E, potassium, iron, omega 3 fatty acids, calcium, and magnesium, which all help in healthy hair growth including your eyelashes. The wonderful thing about spinach is its sheer versatility – you can get your fill in a bunch of different ways that suit your liking. You can juice it, soup it, blend it into a green smoothie, have it as a salad, incorporate it into a dish, doesn’t really matter. The point is it will surely help you get those pretty eyelashes. Sweet potatoes tend to be an underappreciated and overlooked food item. But they are actually a super food that provides a load of benefits for one’s health. They are low in calories, fat free, help in reducing blood sugar, can give you a glowing complexion, and on top of that promote healthy hair growth, among other benefits. Sweet potatoes are filled with beta-carotene which your body converts to vitamin A. Vitamin A is essential for nourishing your hair. A deficiency of it can lead to dry lifeless hair. At the same time, too much of it isn’t a good thing. So try to balance it out when it comes to this one. A delicious fruit that packs a punch when it comes to nutrients. Healthy hair growth is just one of the many benefits that eating avocados can bring. Avocados are rich in the B vitamin biotin which as we’ve mentioned promotes hair growth and a healthy scalp. Biotin is such an important nutrient for hair that there are also supplements containing it sold over the counter and cosmetic products that have it as an additional ingredient. Aside from biotin, avocados are also rich in vitamin E which helps repair scalp damage. Have avocados as a shake, as part of your salad, as a side dish, or enjoy it whole. Whatever you choose, your eyelashes will surely thank you. The food items we’ve mentioned are just some of the many that you can start including in your meals to make those dream eyelashes a reality. Although there’s nothing wrong with reaching for products that can help you achieve bat worthy eyelashes, it’s also good to start with changing up your diet, not only for the physical outcome it can bring but also for your body’s overall health. It’s basically hitting two birds in one stone. Bon appetit! I agree. Yea. Thx 4 the advice! I’ll contact u again later on in the noon. And i’ll add u in my contacts and text. Thx😃. PS: It’s Lyla Sassaeno. Pr: ‘Sass-A-no’.